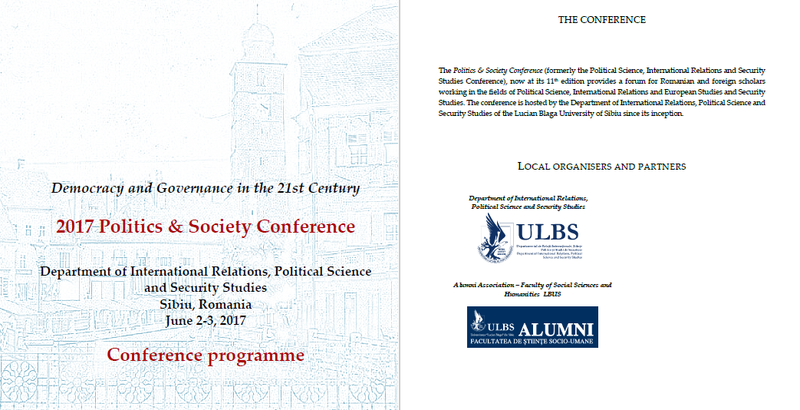 The annually Politics & Society Conference (formerly the Political Science, International Relations and Security Studies Conference) provided an active forum for Romanian and foreign scholars working in the fields of Political Science, International Relations and European Studies and Security Studies. 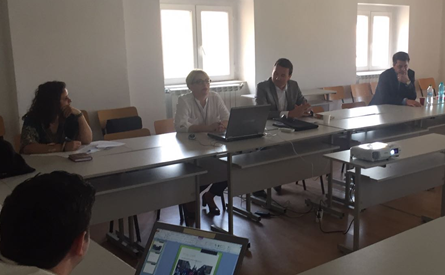 The conference was hosted by the Faculty of Social Sciences and Humanities, within “Lucian Blaga” University of Sibiu, Romania. The topic of the 2017 conference was Democracy and governance in the 21st century. The LBUS-SOG-TIM-team presented the transnational project through the epistemic paper entitled Mapping trafficking in human beings. A cross-cultural overview of modern slavery in five European countries. One of the SOG-TIM-team member, Delia Stefenel was also part of the conference organizing committee, and in charge of one of the conference panel dedicated especially to refugees, migration and human trafficking. Besides exposing cross-cultural research findings from SOG-TIM field studies, the event was a great achievement in terms of networking and sharing of deep first-hand ideas between practitioners, care providers, juridical advisors and researchers preoccupied in building bridges to struggle modern slavery and international mobility flows.